This is a sponsored post written by me on behalf of MastaPlasta. All opinions are entirely my own. 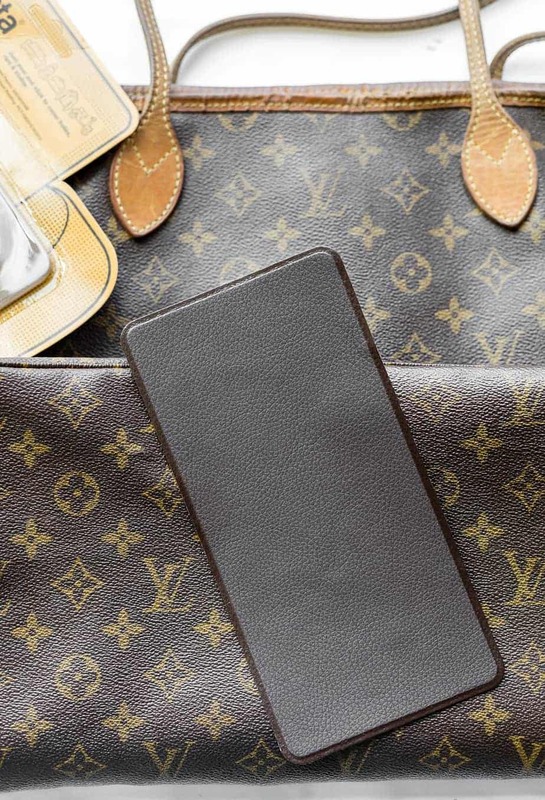 DIY Leather Goods Repair, cover scratches, rips, tears, and holes by simply peeling and sticking the MastaPlasta Leather Repair patches. Repairing leather holes, tears and rips with the best repair kit can breathe new life into a product and add years of usage. 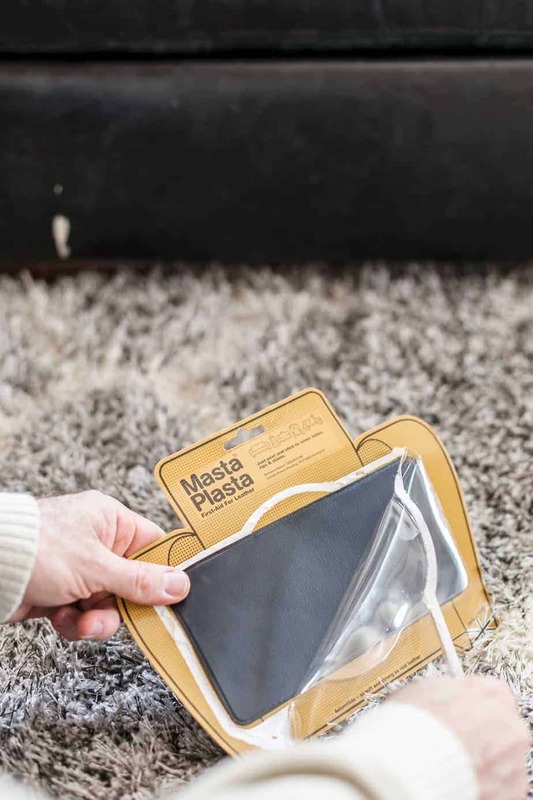 I used MastaPlasta repair kits on a couple of products this last week and experienced first-hand how they’ve perfected both the product and process of leather good repair. 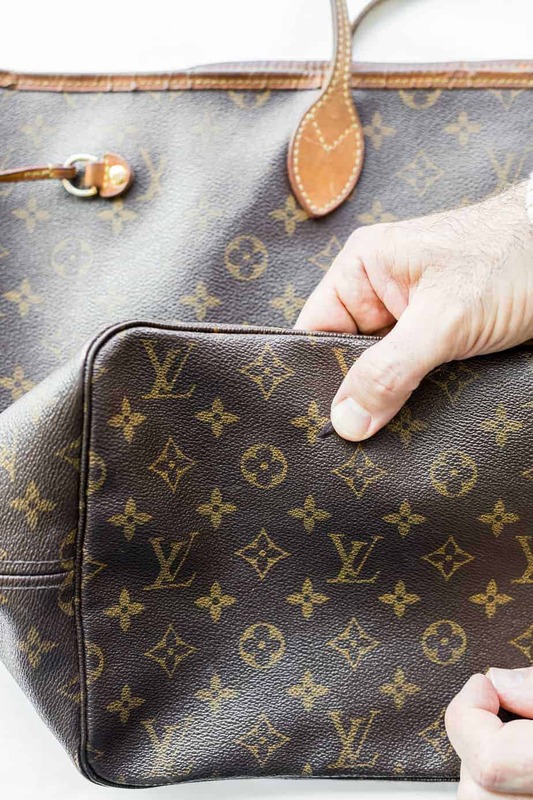 Let’s face it, leather products don’t often come cheap. 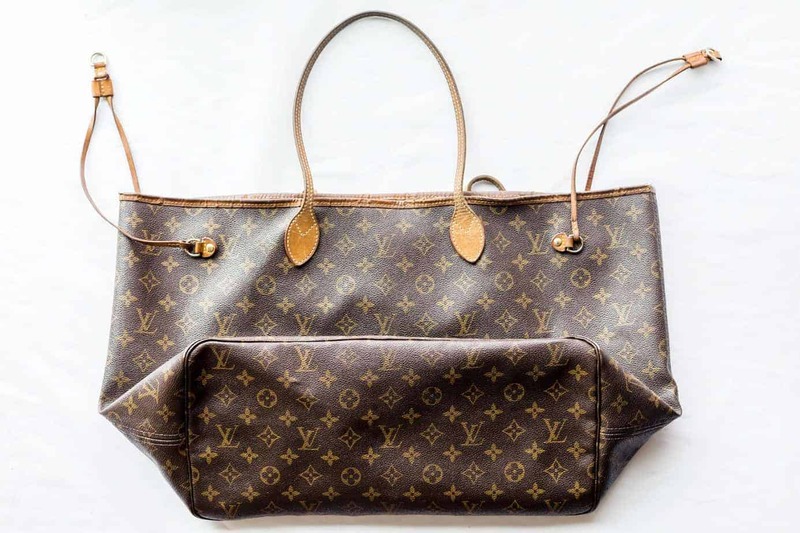 We can sometimes pay a pretty penny for leather and they oftentimes are things that are very important to us: my favorite purse, our two main couches in our home, and my two best jackets are all leather products. My husband has his the leather car seats, luggage, and leather jackets too (though his are very different from mine and look like they’re out of 1970s mob movies). 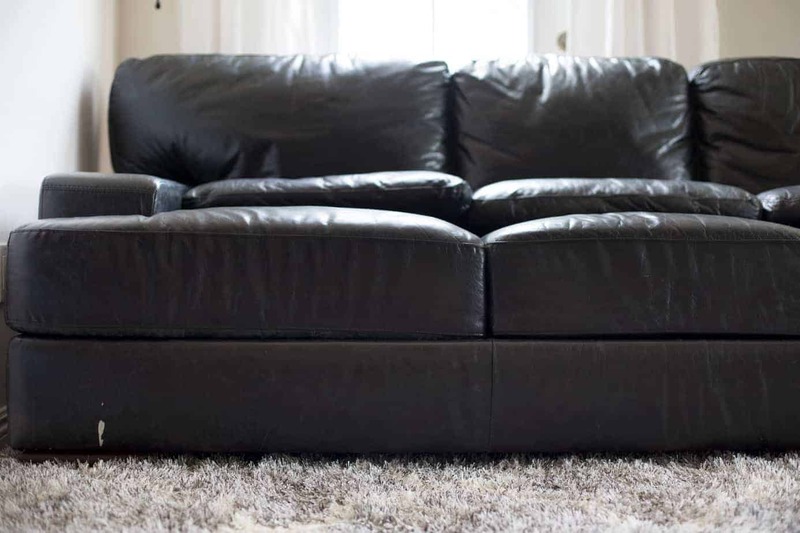 Whatever the product or style, if it’s leather we want it to last! 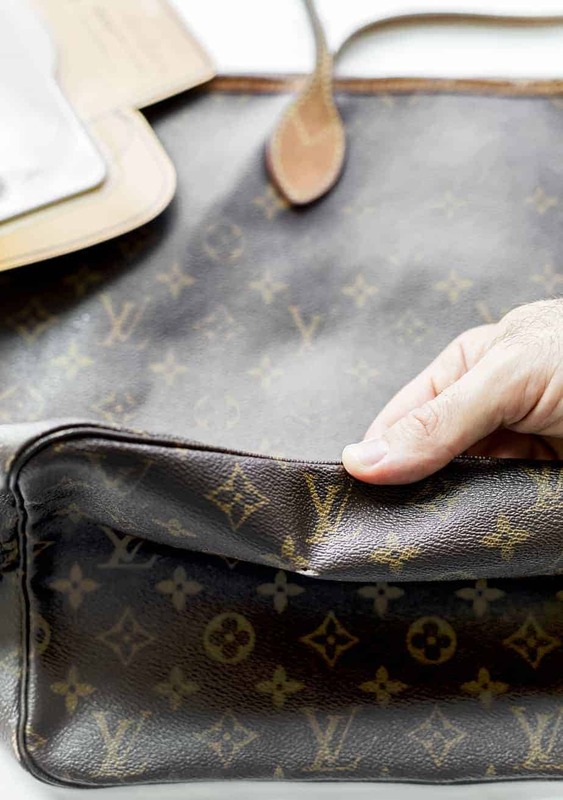 We’ve all been there: a leather crease develops over the years into ugly tears, or possibly a leather item loses a battle against a sharp object. You’re then faced with the sad option of getting rid of the item (no thank you) or struggling to repair the item with what used to be a painful process. Leather good repair shops always charge too much for their services. I’ve tried unsuccessfully using iron-on solutions, as well as one with a weird coloring compound. Both had processes that made me more nervous that I was doing more damage than good, and the color match just didn’t hit the mark. 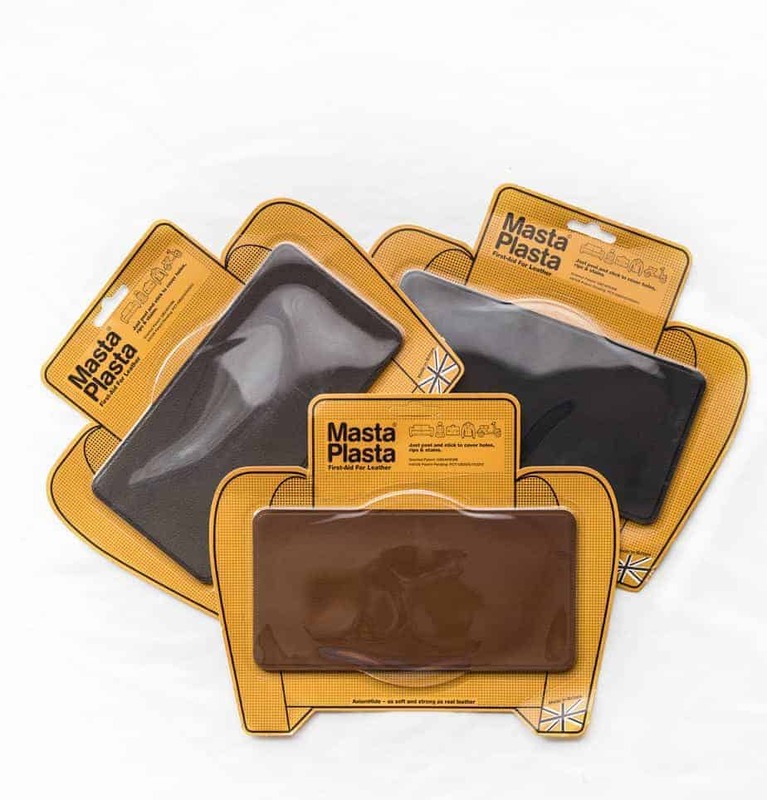 With MastaPlasta it’s a different story.For one, they have a great selection of colors and shades to choose from (many of their products come in 10 different colors). You can also select different sizes, and even choose some cool icons on them like a crown, eagle or skull (those would look amazing on a jacket). My favorite thing about the product is the process of applying it to your product. 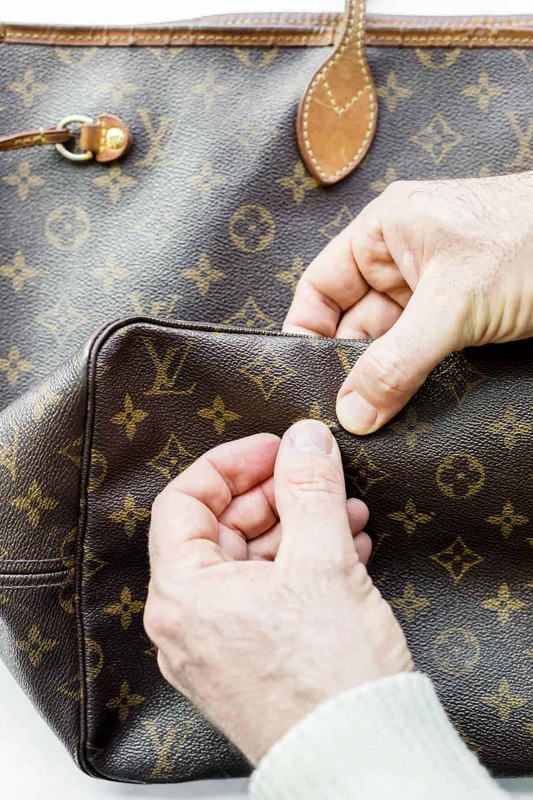 You can do your own leather goods repair in simple steps. Just peel it off of its backing, then press it over the damaged area. There’s no iron, no weird glue, or anything fishy. I used the MastaPlasta on our black couch which my husband actually tagged with (of course) white paint last year while painting. It went on easy and now that very noticeable eye-sore just looks black like the rest of the couch. Next up was my purse, which had developed a whole that I really didn’t want expanding. I don’t always shell out for brand name products but this was one of those cases so I was excited to try it out. It covered the hole in a matching brown and is holding up securely. What a relief on both accounts! DIY Leather goods repair has never been easier! The MastaPlasta adhesive is no joke, so make sure it’s going on in the right spot and right angle the first time. I actually really like this about the product, as I don’t want to worry about a hole or tear coming back after a year or so. One thing that I hadn’t thought of until visiting their website is that MastaPlasta can be used on non-leather items, too. 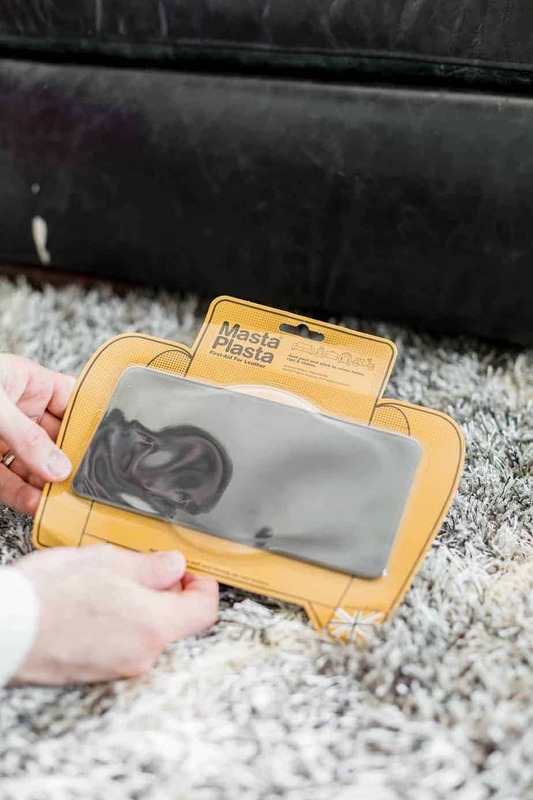 Synthetic Leather (pleather) or vinyl are materials that MastaPlasta can help repair. The product has a great price point, but I think the ease of use and quality are the two things that stand out most. This is a good thing to know. Friends of mine have a leather couch and two dogs so it will happen at some point where they will get a tear in their couch. I never thought of using a leather repair kit on my beloved bags. Furniture yes but never my bags. When I get that dreaded rip or tear, I always toss ’em in the donation pile. You don’t know how much money you just saved me. This a great product to know about! I don’t know of any leather items in our house, but this would come in handy. Thanks for sharing! That is really an awesome thing to have available! I only have leather in my car, but my son does have leather jackets. I’ll have to remember this if he needs it. I’ve never seen this before, it seems so useful! Can’t wait to try it, thank you for sharing. What an interesting sounding kit to help with leather repairs, I have to admit I’ve never thought before what to do when leather tears and you want to keep using the item. I could have used this when I had a leather couch. It cracked and I wasn’t really sure how to fix it up. My torn leather products usually end up in the back of my closet or on a top shelf. I always have plan to get them fixed, but rarely do. I never considered trying to repair it myself. Many years ago we had a blue leather couch that got a tear. This would have been very useful for that. This should come in handy! I always let others fix my leather bag. This time, I might do it myself. This is going to save me a lot of money! Genuine leather bags are not cheap and it is really a heart breaker to see a rip on it. This would help us repair small tears inconspicuously. I need to get these Mastaplasta. Thanks for letting me know. I could definitely use a couple of these patches for my couch. This is a nifty idea and product! This is a good info. Now my damaged bags can be repair. Thought it just work on furnitures. Thank you for sharing. I recently discovered the beauty of using wood stain markers to cover scuffs, and now this! I have a few blemishes around the house where these repair patches could help. Been looking for something like this before and glad I came over this post. Good to find out about this product. 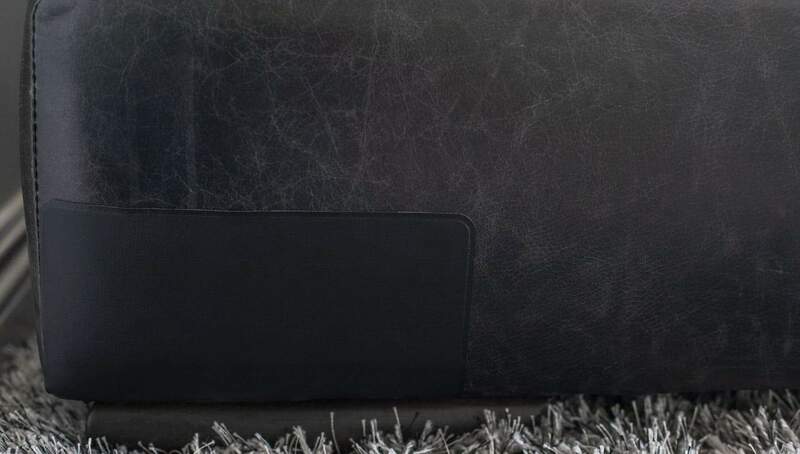 This is great, you can now patch or repair your favorite leather products. I could have used this for my favorite purse but I disposed it already. These patches look like a great solution for repairing leather products. I have a couple of things I could use them on, including a purse.